“I am submitting my resignation as Florida Secretary of State effective immediately,” Ertel said in an email sent to DeSantis Thursday afternoon, provided by the DeSantis’ office to CNN. “It has been an honor to serve you and the voters of Florida.”DeSantis’ press office said in an email to CNN that “the governor accepted Secretary Ertel’s resignation. 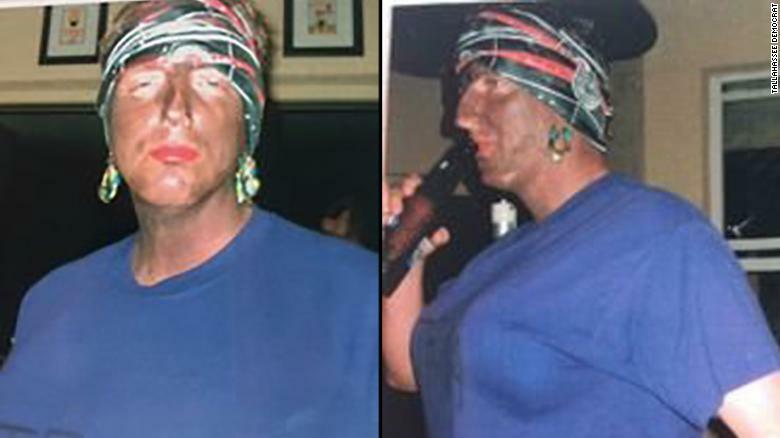 “Ertel’s resignation comes in conjunction with the release of photos of him in blackface at a private Halloween party in 2005, obtained by the Tallahassee Democrat. Images provided by the Tallahassee Democrat show Florida Secretary of State Michael Ertel in black face. Ertel confirmed to the Democrat that the photos were of him, adding, “there’s nothing I can say. “DeSantis’ office saw the photos obtained by the Democrat for the first time Thursday morning, and announced that DeSantis accepted Ertel’s resignation hours later, the paper reported. Thousands of storm evacuees took shelter at the Louisiana Superdome, where the New Orleans Saints play. Ertel could not be immediately reached for comment.